Style is in the cards! 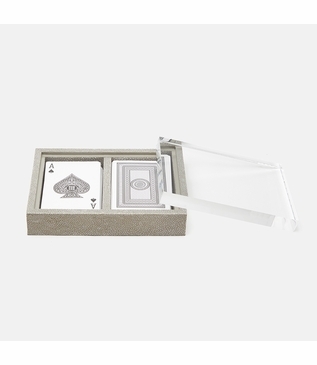 This beautiful faux shagreen box is elegantly topped with a clear lucite lid and holds two decks of playing cards (included). 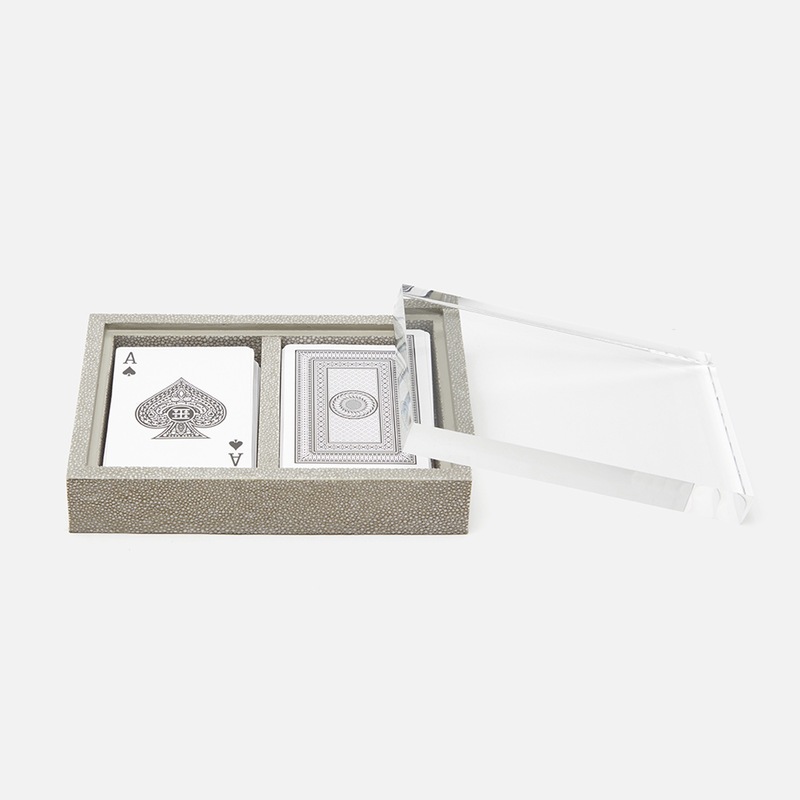 Makes a perfect gift for the card shark in your life or a swanky addition to your next game night. Size: H: 1.5" • L: 6.5" • W: 5.5"